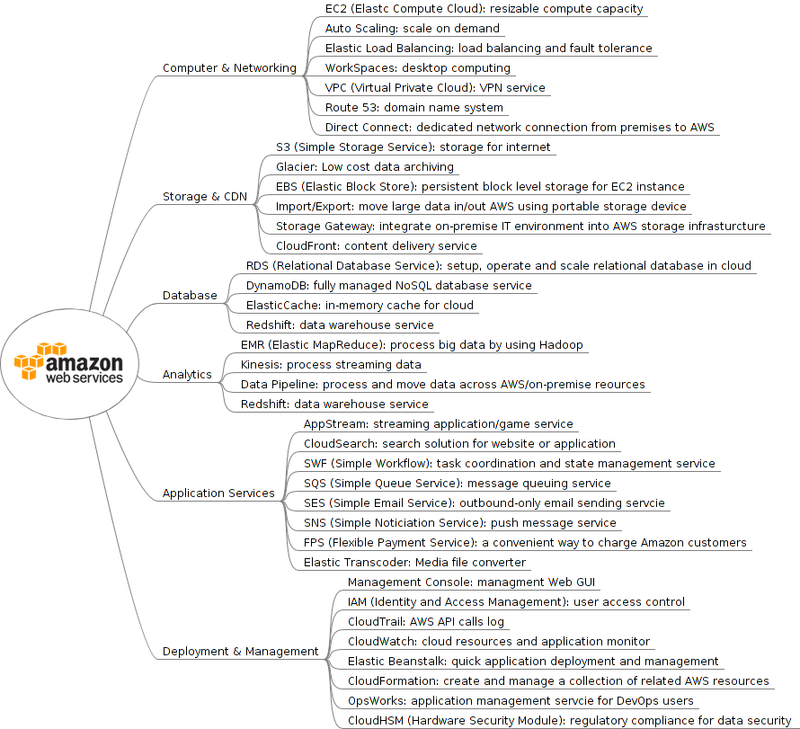 AWS has a full stack of cloud products, and it is still growing as I can see. I am very interested to learn the AWS technology, the first step for me is to know what it can do. So I drew a mind map and post it here.